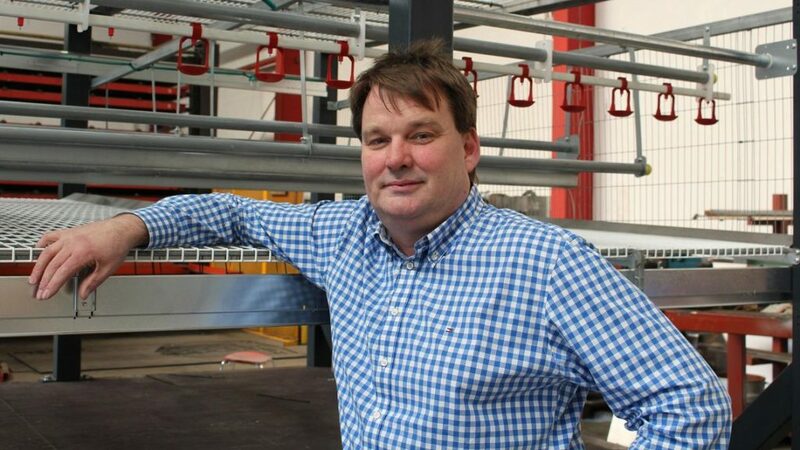 farmermobil GmbH is the culmination of many decades of experience in vehicle and poultry house construction of Franz-H. Veltrup, the owner of the company. In our ceaseless efforts to further develop our housing systems, we attach great importance to practicality and cooperation with our customers. To ensure that our claim of high quality is always met, the mobile housing systems are all produced in-house at our site in DE-48366 Laer, Germany. Patents and utility models are pending for a wide range of innovations that are designed and developed and made ready for the market in our own R & D department. 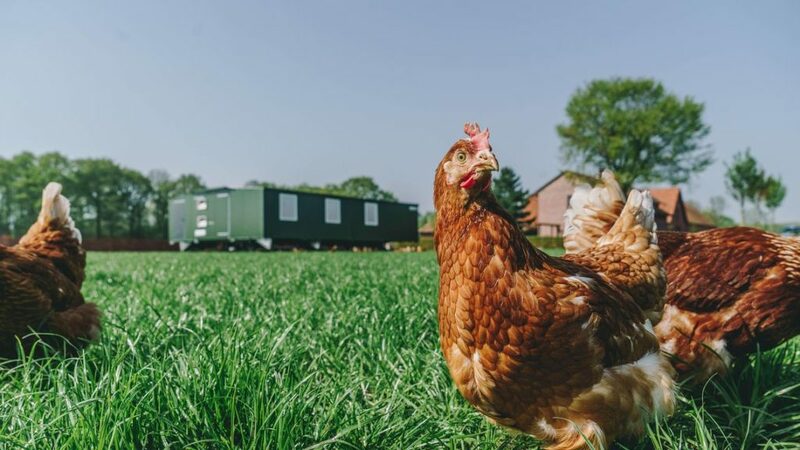 Our mobile layerbarns for rearing chicken, laying hens and broiler housings offer several unique advantages over conventional free-range houses. Since they are constructed as actual vehicles, the housing systems are fully mobile, making them easy to move which means that they are flexible to use. Consequently, the existing grazing areas can be used optimally and the excessive input of nutrients into the soil can be avoided. All of this contributes to higher levels of hygiene and animal health. This labour-saving and species-appropriate mobile housing system offers benefits to both its human and animal users. The high degree of automation gives farmers more time to devote to their animals and to optimise animal welfare. Keep in mind, only healthy and happy chickens can lay the optimum eggs of the highest quality eggs. How is a mobile housing system produced? Learn more about the production!